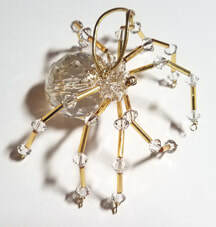 Crystal Spiders are made in two sizes. on the legs and head. Dimensions: ​Leg Stance 3 inches. ​ on the legs and head. Dimensions: ​Leg Stance 3 1/2 inches. 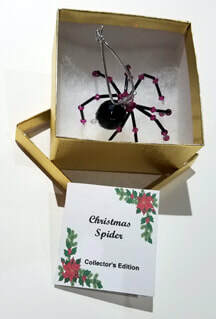 This Collector's Edition of the Christmas Spiders is an elegant addition to your collection or as a gift for someone. 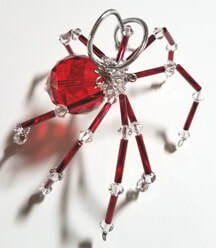 ​ with the Story of Tinsel enclosed.